We were excited to be part of two unique interior graphic displays, each with their own individual style and tone. VBD, the Veterinary Business Development team, who thanks to their continued growth, moved into larger offices at Olympus House, Peterborough earlier this year. 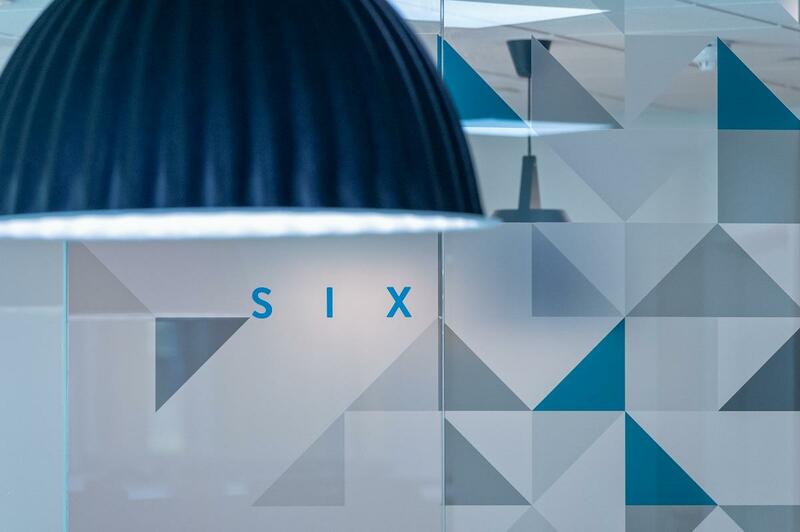 They were looking for a clever and visionary interior design to match their brand and company ethos. 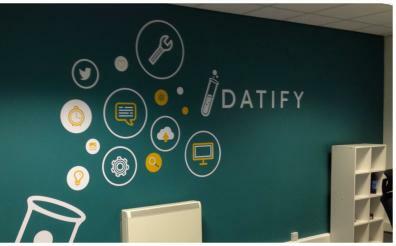 Our humble contribution in this transformational office revamp was to produce and install the clever and quirky wall graphics. Read the full VBD case study here. Geometric shapes splayed along glazed corridors creating more than just a sense of privacy for this inspirational office display. 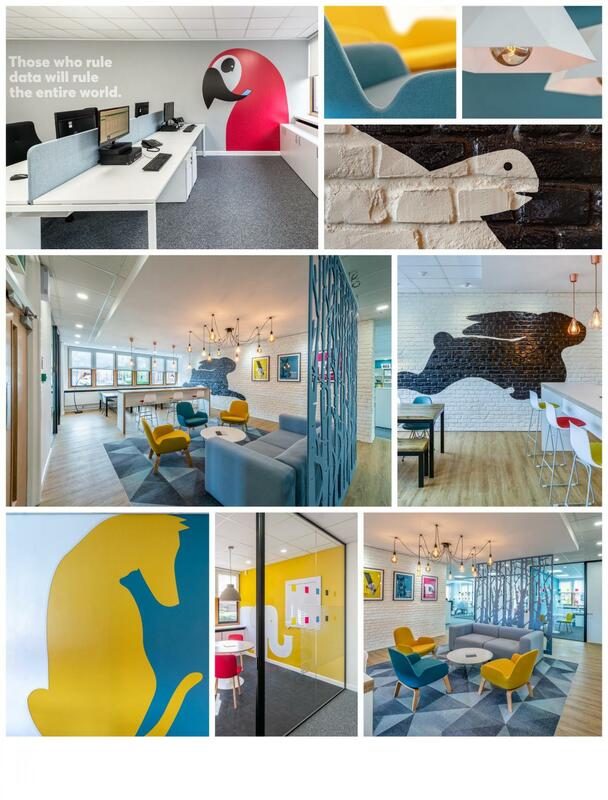 Frontline Ltd were in need of a modern retro twist to their rather dated office areas. 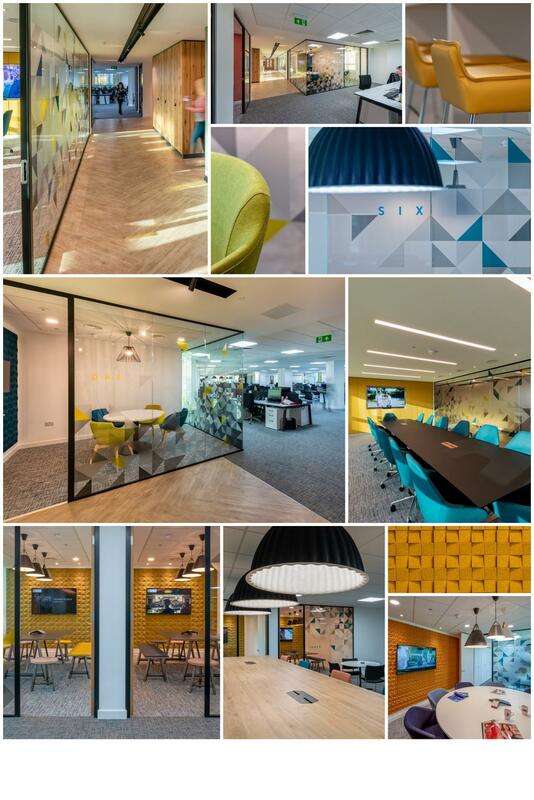 The 12,000 square foot space in Stuart House was to be transformed into a contemporary and fresh working environment and our role in this exciting project was to produce and install vinyl cut manifestations throughout the various meeting rooms, Boardrooms and staff breakout areas. The end result looked sensational. Cann Creative have designed a beautiful working environment for the team at Frontline, with every fine detail being taken into account. Visual Etiquette's graphic design is a triumph and the complexity of the production and installation process has resulted in a hugely complimentary accent to the overall office interior design. There is fantastic flow of symmetry that feeds through from the office space to staff room and break out areas. GH Display were pleased to be a part of the team that made it so. 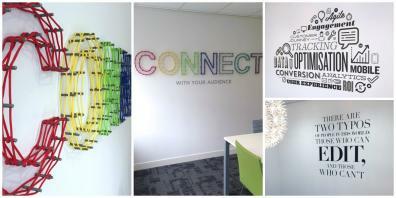 Read the full office interior graphics case study here. If you would like to talk to us about your commercial graphics project call our friendly team on 01733 570222 or complete our design brief form below. 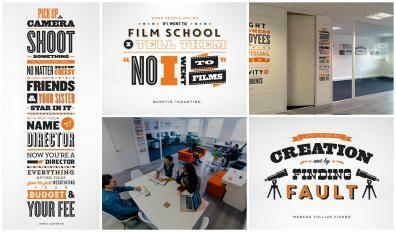 Browse some of our other office graphic projects in our portfolio. Click on the project images below to read the full case study. If you want to talk through your requirements give our friendly team a call on +44 (0)1733 570222.